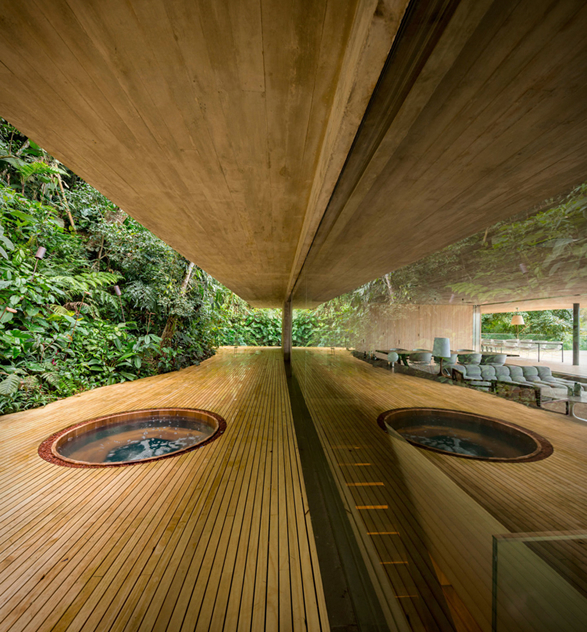 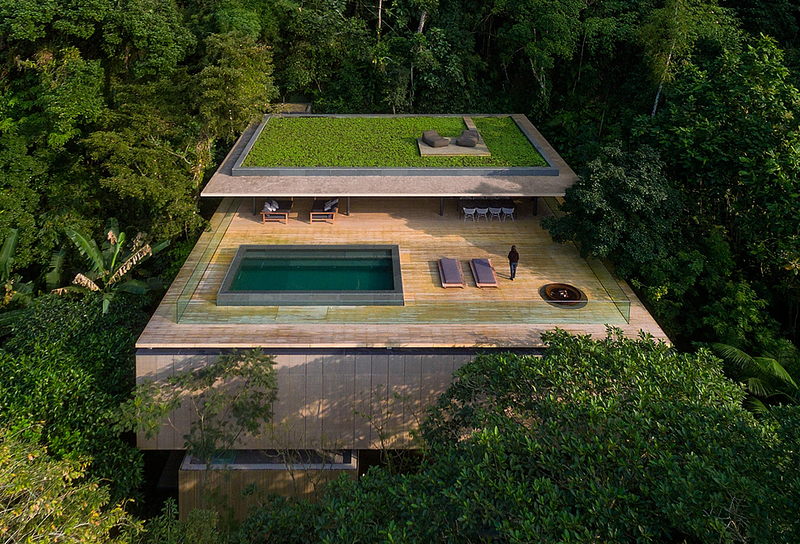 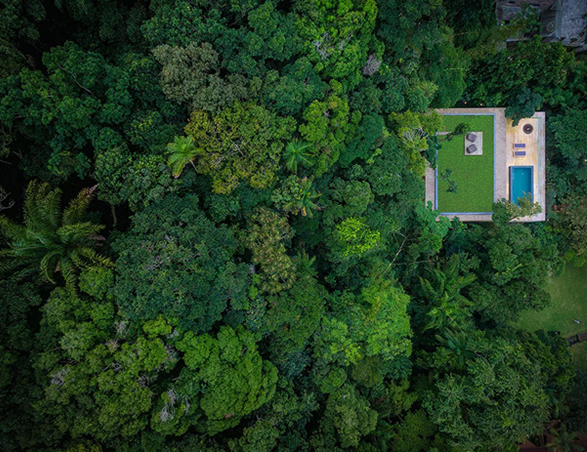 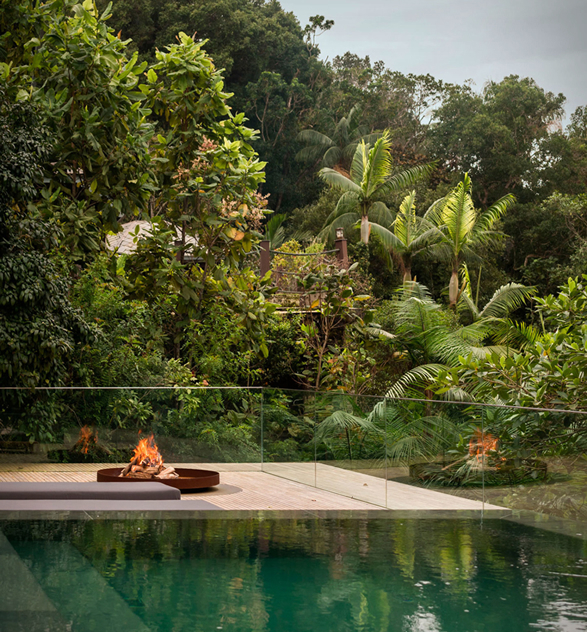 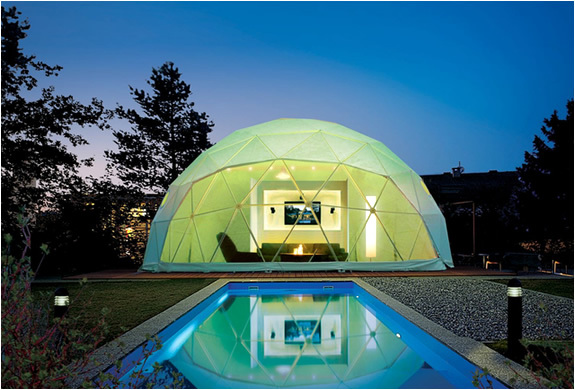 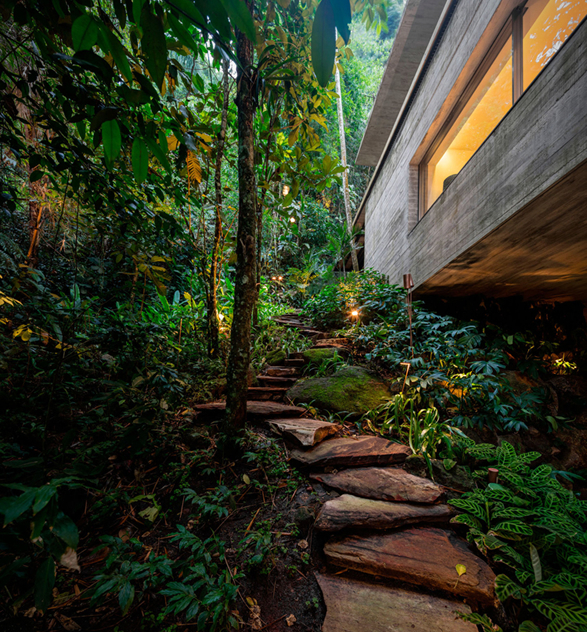 The Rainforest House (Casa Na Mata) is a stunning retreat nestled in the dense vegetation of the Brazilian rainforest. 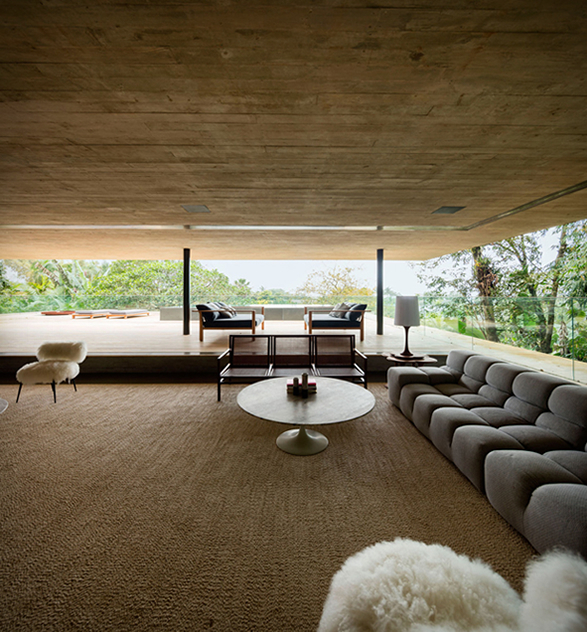 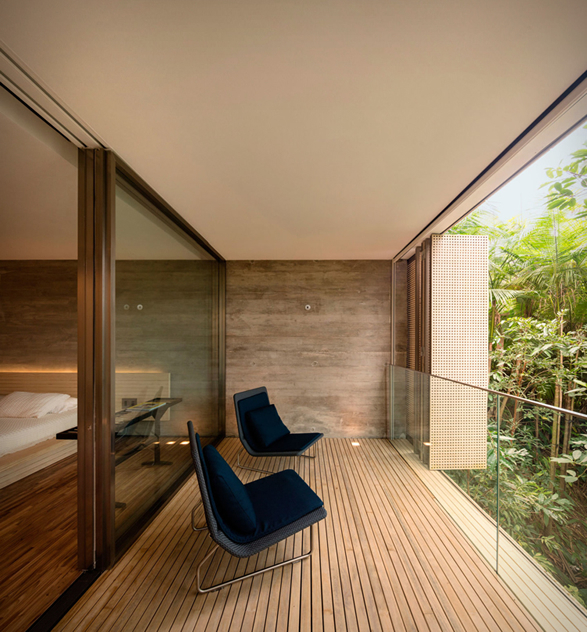 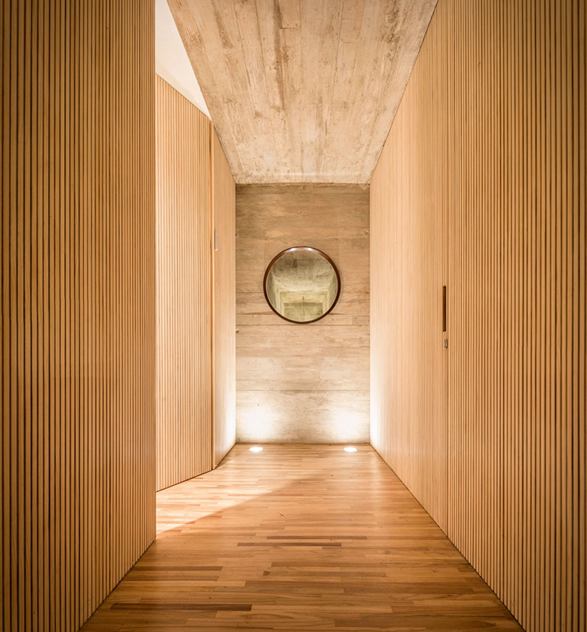 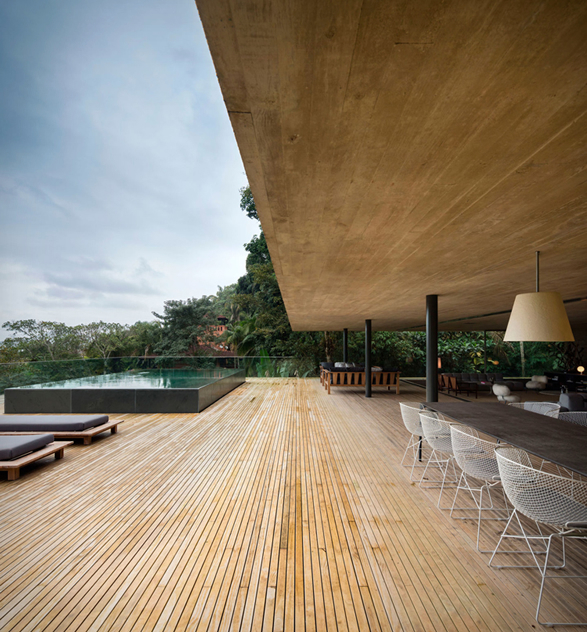 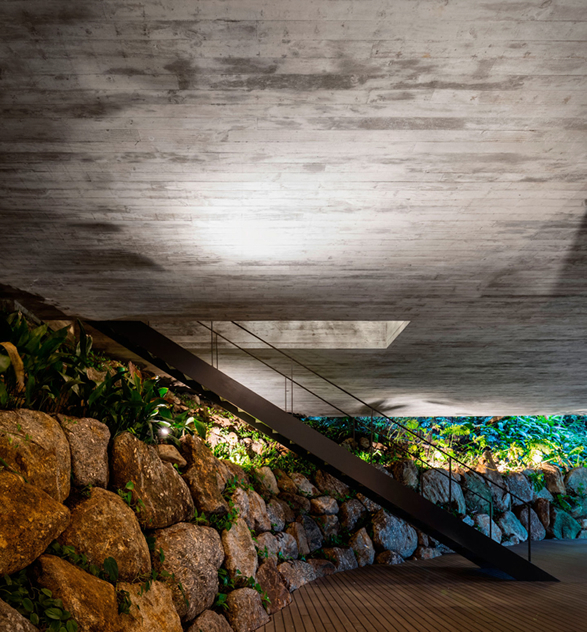 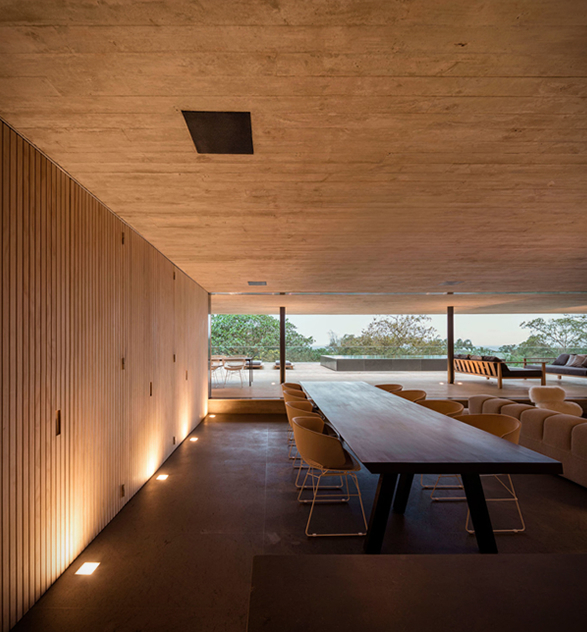 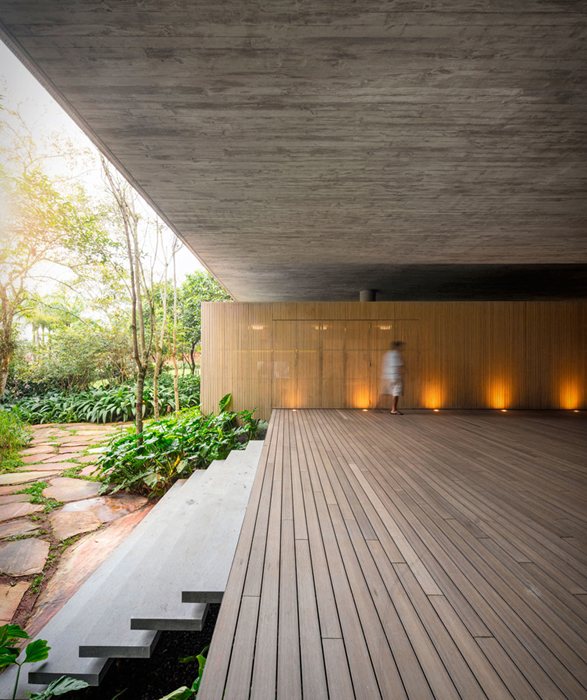 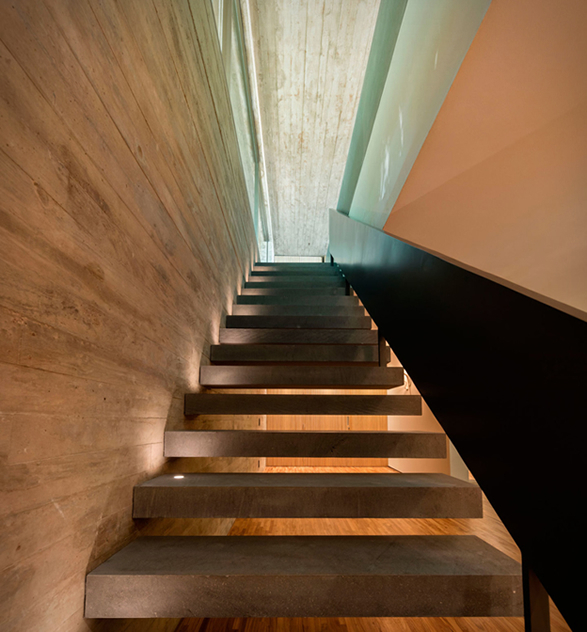 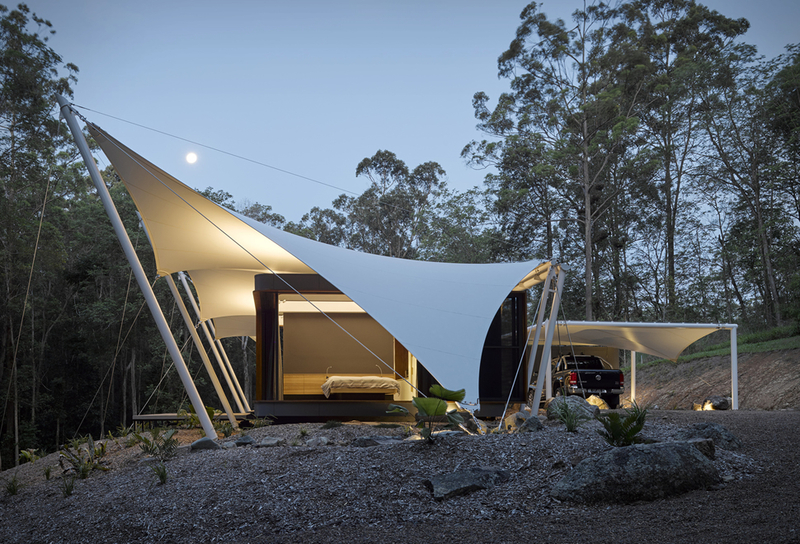 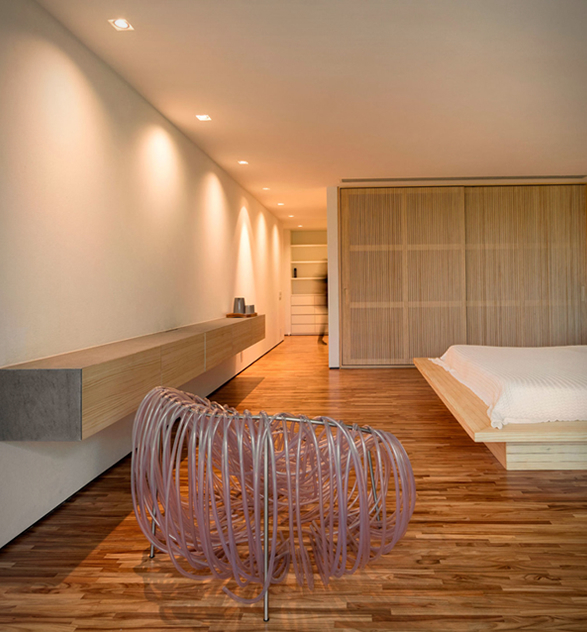 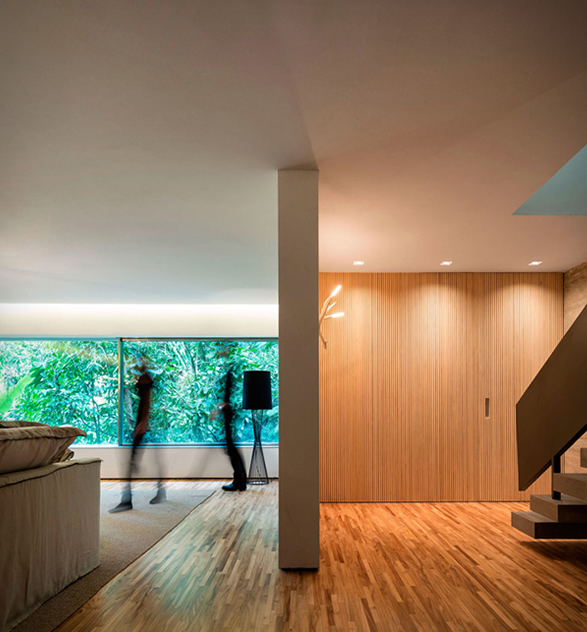 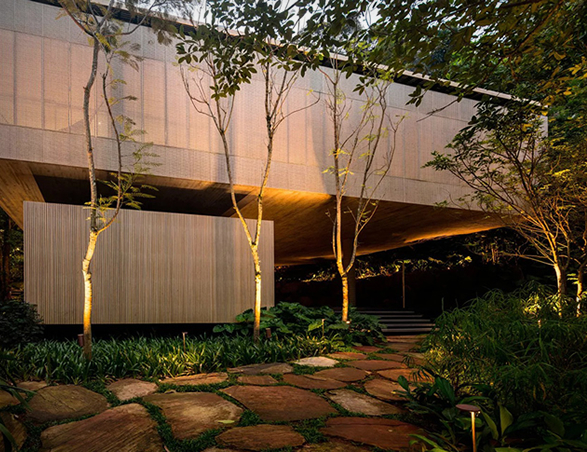 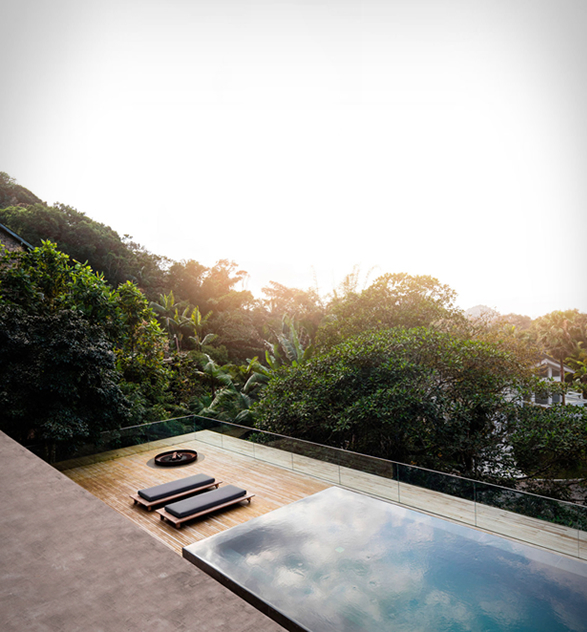 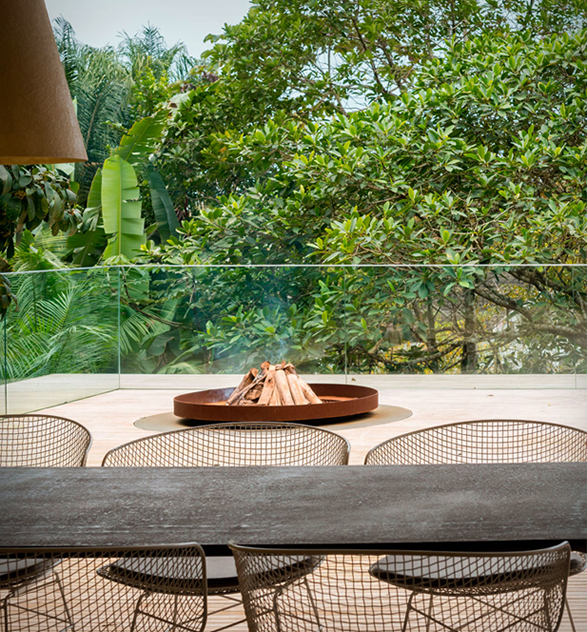 Located on the coast of the Brazilian municipality of Guarujá, the spectacular house was designed by Brazilian architects Studio MK27 with the aim to optimize the connection between architecture and nature. 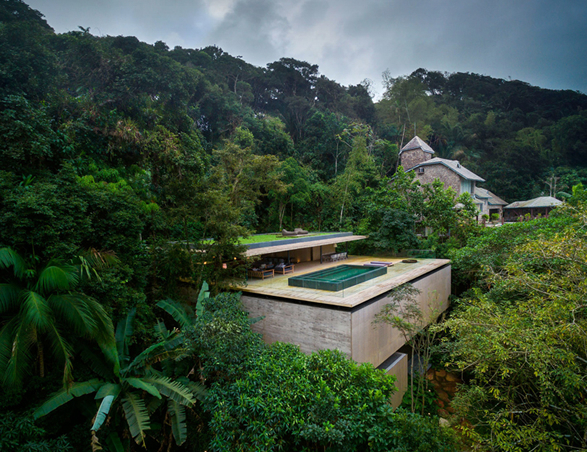 Perched on the verdant side of a mountain that overlooks the expanse of the Atlantic Ocean, the house is primarily constructed from exposed concrete and wood, and features a ground floor that houses utilities, a deck, and a children’s play area; the second floor contains six bedrooms; and the top floor has a kitchen and living room, as well as luxuries like an infinity pool, hot tub and sauna.